Though the calendar might say there are still a few weeks left of summer, the “rules” of fashion state that this Monday is the end of the season. That means this weekend is the last time a number of our favorite pieces will see daylight until Spring rolls around. It’s going to be especially hard to put away all of the seersucker, so we thought it was only right that the last Bowtie Friday of the season focus on a bow made from our favorite Summer fabric. 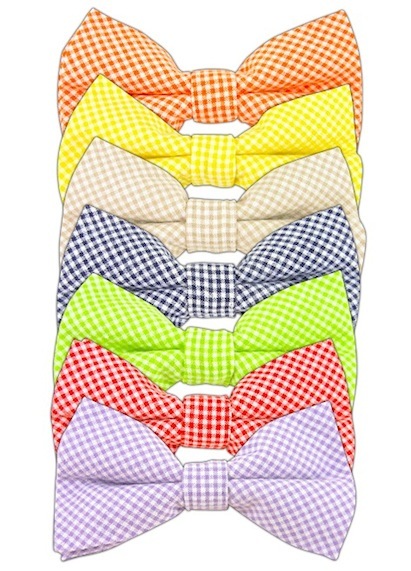 Today’s pick is the Gingham Seersucker Bow ($15) from The Tie Bar. The day has finally arrived. College football is officially back, and we could not be more excited. Though our favorite teams won’t be kicking things off until Saturday, we’ll be spending this evening enjoying every snap of every game we can find on TV. To celebrate the arrival of our favorite season, we’ve teamed up with our friends at Southern Tide for another giveaway. 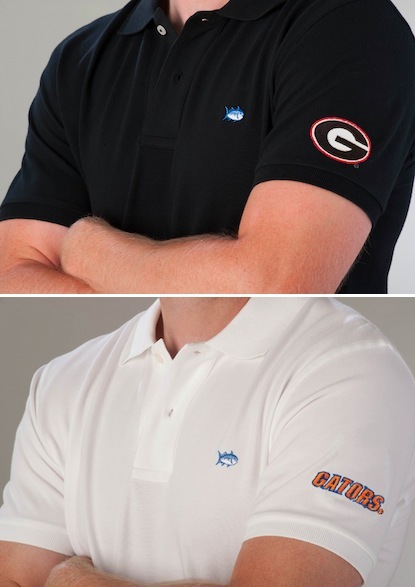 This time, it’s one of their fantastic Collegiate Skipjack Polos* ($85). 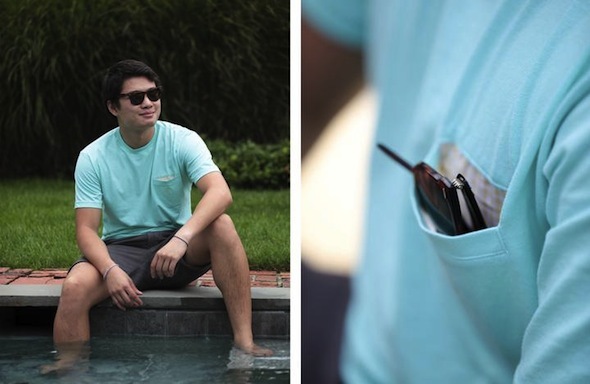 It seems like companies large and small have decided the next great trend in t-shirts is a contrasting pocket. We’ve seen everything from seersucker to silk repp stripes showing up, and we’re still trying to decide if we are going to buy into the look. In the meantime, we’re happy to introduce a newcomer to the pocket party who is taking a more low key approach. They’re called VoyVoy, and they’re going to be giving one of our readers a great looking crewneck t-shirt*. One of the coolest things about running Bowties & Boatshoes has been forging relationships with so many great brands. We’ve been fortunate enough to be invited “behind the curtain” to see the inner workings of some of our favorite companies, and have been able to give away some great products over the last couple of years. Today, we’re happy to announce a giveaway from one of our longtime sponsors, Lemon & Line. 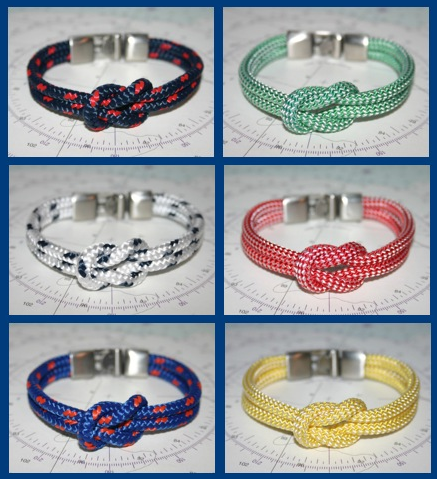 Two lucky winners are going to receive a prize pack made up of their choice of one bracelet from the Lemon & Line Nantucket Collection, one from the Newport Collection, and one limited edition Madaket Wrap. With football less than a week away, there is something strange going on here in Annapolis, people are still talking about the Orioles. Not only are they talking about them, they’re saying great things. As lifelong fans, it’s been pretty rough for the last decade plus. To say we are loving having a team in the hunt for a spot in the playoffs this year would be an understatement. 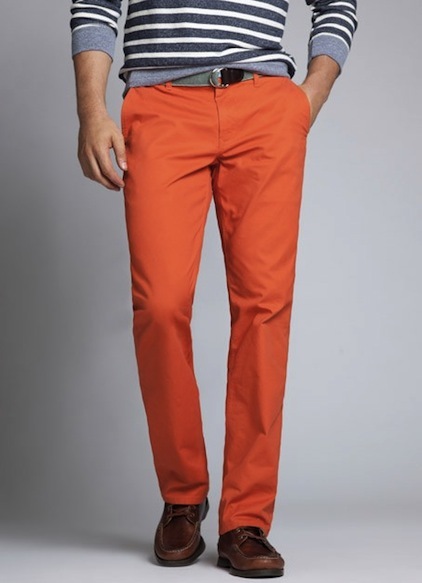 If the Orioles make it in, you better believe we’ll be wearing a pair of Bonobos* Yam Dunks! ($88) to that first home playoff game. Over the years, we’ve found that wearing a belt buckle is a lot like wearing a bowtie. For example, if your buckle is something a bit different than the norm, it’ll definitely be a conversation starter. Luckily for us, our friends over at Wm. 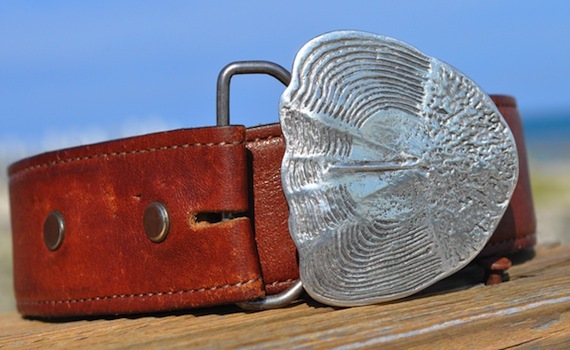 Lamb & Son have continued to spread their wings, and now include bowties (more on those soon), and the great looking Tarpon Scale belt buckle ($75) in their list of offerings. Over the years, we have profiled a number of pieces from the Social Primer for Brooks Brothers line. Today we are happy to announce that Bowties & Boatshoes is the very first site to showcase the bowties from the upcoming Social Primer by K. Cooper Ray line. Yes, our friend Cooper is spreading his wings and releasing a line that will be available outside of Brooks Brothers (don’t worry, the Social Primer for Brooks Brothers line isn’t going anywhere). Not only are we excited to be the first to cover these great looking bows, we’re even more excited to announce that one of our readers is going to receive the very first Social Primer by K. Cooper Ray bowtie when they officially hit the market. Statement Cap giveaway courtesy of Starboard Clothing Co.
As much as we love the classics, we have to break loose on occasion and make a statement. Many times, those statements get made in the form of a louder than usual bowtie or a pair of Go to Hell pants. In an effort to provide a few statement pieces for more casual days, Starboard Clothing Co.* just unveiled the latest addition to their lineup, Statement Caps ($22). Luckily for us, we know a guy who knows a guy and one lucky Bowties & Boatshoes reader is going to win one of these great looking hats. 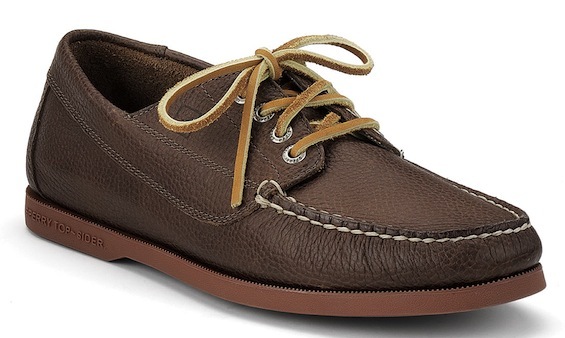 For quite some time, the only boatshoes in our collection were Sperry Top-Sider A/O’s. We’ve expanded our horizons pretty dramatically over the last few years, yet we still find ourselves coming back to our Sperrys time and time again. This Fall, we’ll be working a new pair of Sperry’s into our rotation. Built on the same base as our beloved A/O Boatshoes, the recently released A/O 4-Eye Ranger Mocs are definitely going to be put through their paces in the next couple of months. A few weeks back, we got an email from the folks at Island Company based down in West Palm. We did a little bit of research, and not only do they make some great products, they also have one of, if not the, best corporate mantras we have ever seen: “Quit your job. Buy a ticket. Get a tan. Fall in love. Never return.” Though we won’t be hopping a plane to the Caribbean anytime soon, we will sporting some pieces from the Island Company collection. In an effort to be ready for cooler temperatures, our first pick is their Bushwacker Jacket ($210).